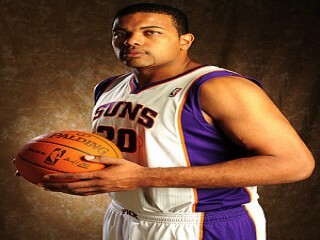 Birthplace : Augusta, Georgia, U.S.
Garret Siler is Basketball player for the Phoenix Suns of the NBA. Signed with the Suns on Sept. 27, 2010... Spent 2010 Las Vegas Summer League with the Miami Heat, where he averaged 6.6 points, 3.8 rebounds and 0.6 blocks in 14.0 minutes, and shot 75.0 percent (12-of-16) from the field... 2010 Orlando Summer League with the New Jersey Nets, where he averaged 3.0 points and 2.0 rebounds in four games... 2009 Las Vegas Summer League with the Minnesota Timberwolves... Appeared in two preseason games with the Atlanta Hawks in 2009... Spent the 2009-10 season with the Shanghai Sharks of the Chinese Basketball Association, averaging 14.1 points and 7.3 rebounds while shooting 74.0 percent from the field for a club that went 24-7. Four-year performer at Augusta State... For his career, averaged 12.4 points, 6.2 rebounds and 2.0 blocks... Shot 74.5 percent from the field overall for his career, including a collegiate record 78.9 percent as a senior (225-of-285)... Also led Division II in field goal percentage as a sophomore (.689), and led his team in field goal percentage in all four collegiate seasons... Averaged a career-high 16.2 points as a senior, second-most on the team, a team-leading 7.7 rebounds and a team-best 2.57 blocks in 35 games (35 starts)... That came the season after averaging 15.2 points, a then career-high, as a junior... As a senior, blocked a career-high 90 shots (team recorded 132 total)... All-Peach Belt Conference Selection in each of his final three years... Led the schol to three-straight 20-win seasons in that span... Redshirted in 2004-05. View the full website biography of Garret Siler.